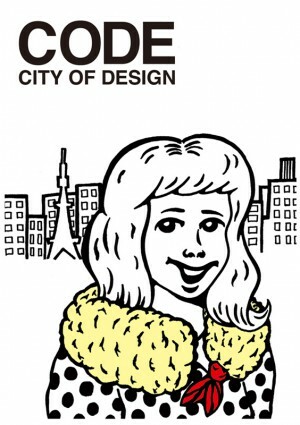 In 2010, the CODE collaborative project was first held concurrently in the seven UNESCO Cities of Design (as of 2010) as a poster competition with the theme expressing a city’s identity. 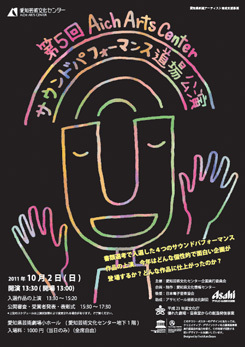 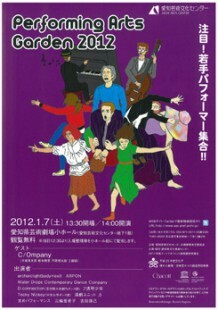 The competition winners in Nagoya were invited to design campaign fliers for programs organized by Aichi Arts Center and designed to cultivate and support young budding artists: the ACC Sound Performance Gymnasium and the Performing Arts Garden. This design project was realized through cooperation between Aichi Arts Center and Creative Design City NAGOYA Organizing Committee with the aim of fostering and assisting creators in the Nagoya area.